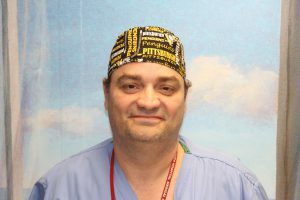 This month we are proud to shine our Employee Spotlight on David Hutt, Supportive Care Associate in the Operating Room. David is a native of Westchester County, having grown up in Peekskill where he attended Peekskill High School. David joined Jamaica Hospital 23 years ago, first rotating between units before moving to 3 North and currently in the operating room where he has worked for 21 years. David is very proud of the work he does at Jamaica Hospital. He says that his co-workers are like family to him. Everyone works well together. He also enjoys interacting every day with his patients. He has received many compliments from the people he has helped. He credits his compassion and sense of humor for helping to make the patients’ experience a pleasant one. He looks forward to many more years of working at the hospital with his team. David is known as an avid sports fan. His favorite team is the Pittsburgh Steelers, and he also roots for the Pittsburgh Penguins, The L.A. Lakers, and the New York Mets. He enjoys listening to all types of music, going to the movies, concerts, and sometimes just staying home and watching TV. Two of his favorite vacations were spent on a cruise and also when he went to Cancun. The best way he can think of to spend his free time is with family and close friends. David has been living in Queens for 33 years, and the last 7 with his wife in Ozone Park and says that he really enjoys the cultural diversity and fast pace of the neighborhood and the city. 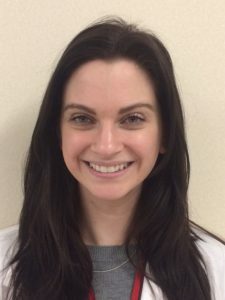 This month we are very happy to shine our employee spotlight on Nicole Santucci, a nutritionist who has been working at Jamaica Hospital Medical Center for almost four years. 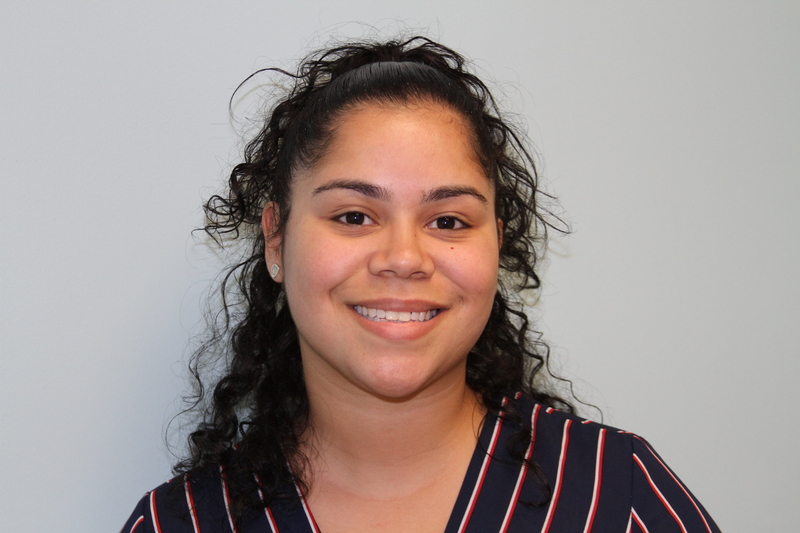 Nicole grew up on Long Island in North Valley Stream and attended the Willow Road Elementary School, Valley Stream North High School and is a graduate of Syracuse University. 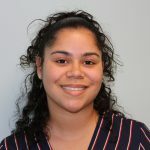 She is currently enrolled at Stony Brook University where she will be completing her Master’s degree in May of 2019. Nicole became interested in nutrition while taking a course at Syracuse University. Having been diagnosed as a Type I Diabetic when she was nine years old, eating healthy became a way of life she needed to adhere to. Her parents were very supportive and she was brought up as any other normal child would be, learning how to manage her diabetes successfully through proper eating habits, exercise and taking her medication. Because she has lived with diabetes for most of her life and learned so much from nutritionists who guided her, she felt it would be a natural fit as a career choice for her. She enjoys working at Jamaica Hospital for many reasons. Her department works well together as a team which is very important. 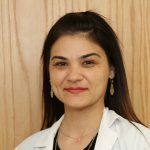 From an educational standpoint she feels that the diverse population of patients will allow her to learn about many different cultures and provide her with invaluable learning experiences. Nicole has very family strong ties to the Richmond Hill community and to the hospital itself. Not only was her father and many of her relatives born at Jamaica Hospital, but her uncle Thomas Santucci Jr was the Chairman of the Department of Medicine for over 30 years. In her free time, Nicole enjoys cooking, especially Italian food, going to the movies, running when the weather permits and going to plays in Manhattan. She enjoys traveling and has been to many places both in Europe and the Caribbean. One of her favorite cities is Prague because of its beauty and her mother’s family came from there so she feels a strong connection to it. She enjoys spending time with her dog, a corgi hound mix named Pebbles who is a rescue. Nicole is engaged to be married in the Fall of 2019 so wedding planning are another activity that she is enjoying. We are fortunate to have Nicole as part of our team of nutritionists at Jamaica Hospital and thank her for playing such an important role in our patients’ treatment. 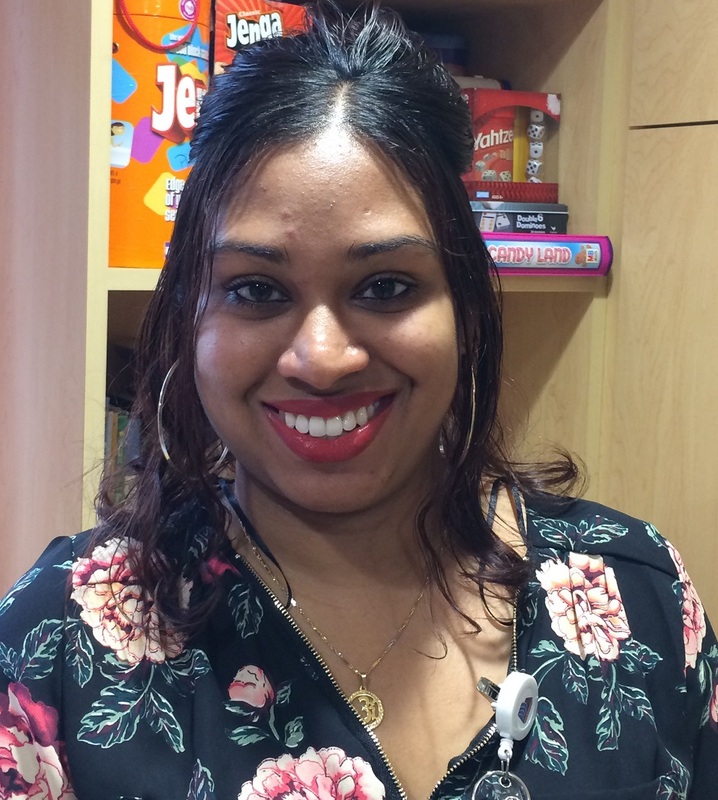 This month Jamaica Hospital Medical Center shines its employee spotlight on one of our newest employees, Tracey Kunj-Ramen, the Certified Child Life Specialist for Pediatrics. 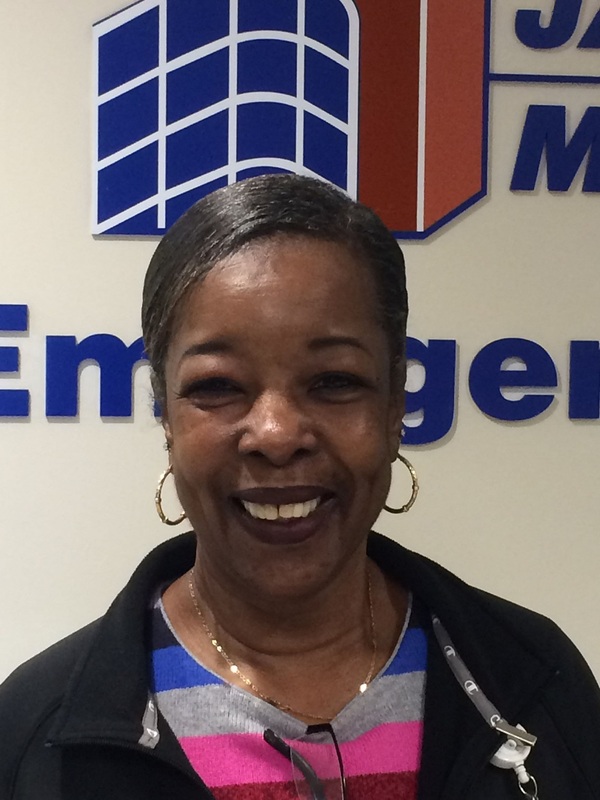 Tracey joined our staff two weeks ago but is very familiar with Jamaica Hospital. She had been a volunteer on 2 South since 2007 while she was still a student. Tracey also spent some time doing an internship at Flushing Hospital Medical Center. Tracey was born in Guyana, and grew up in Queens where she spent most of her life living, and continues to reside. She attended elementary, middle and began high school at Thomas Edison H.S. before moving for a short while to Connecticut. After she completed high school, she graduated from Hunter College with a BA in Psychology and received a Master’s of Science in Psychology from Southern New Hampshire University specializing in Child and Adolescent Development. Tracey has two sons, ages five and two, who she loves spending time with. One of the things she and her husband enjoy doing is taking the boys on spontaneous road trips on the weekends. They enjoy discovering new places and having quality family time together. She also enjoys reading, dancing and eating Italian food whether at home or going out to her favorite restaurants. Tracey enjoys working with the children who come to the hospital as patients. She understands how important it is to make not only the children feel comfortable and less anxious, but also how important it is to be reassuring to the parents. Tracey takes pride in her duties as a Child Life Specialist because she feels that people who have a positive experience at the hospital will feel confident about recommending their friends, family and neighbors. We welcome Tracey to Jamaica Hospital and look forward to her contributions to our team of doctors, nurses, and other specialists who provide care to our youngest patients. This month we shine our employee spotlight on Louise Senior, a telephone operator at the Trump Pavilion For Nursing and Rehabilitation, and perhaps better known as the woman who is always smiling at the reception desk in the lobby. Louise started working at the nursing home in 1994. She is extremely proud to tell everyone that five generations of her family have been affiliated with the facility. Her grandmother was a patient and her mother, her daughter and her granddaughter have all worked there. Louise was born in the Bronx but she really considers herself a native of Queens having moved to Queens Village at the age of eight. Her early school years were spent at Public School 98 in Bayside, the Louis Pasteur Middle School and Cardozzo High School. Currently, she resides in St. Albans. Her personal story began at Trump Pavilion when she was 13 years old and would visit her mom who worked there. Years later she experienced a fall and her doctor recommended that she receive physical therapy. On Louise’s last day of therapy, she happened to see the Director of Communication who asked if she would be interested in coming to work for the facility. That was 24 years ago and she is still very happy that she said yes to the offer. Louise feels very fortunate to be working with a wonderful team of people. 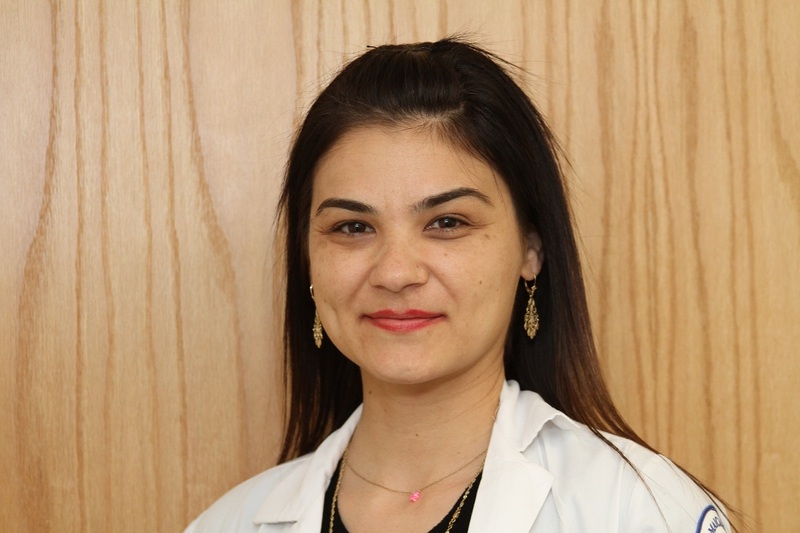 She enjoys interacting with the patients, their families, and all of her colleagues. She is very proud of the work that she does and feels like she is making a difference in the lives of others. When Louise is not working she enjoys spending time with her family. She has four granddaughters who she spends a lot of time with. 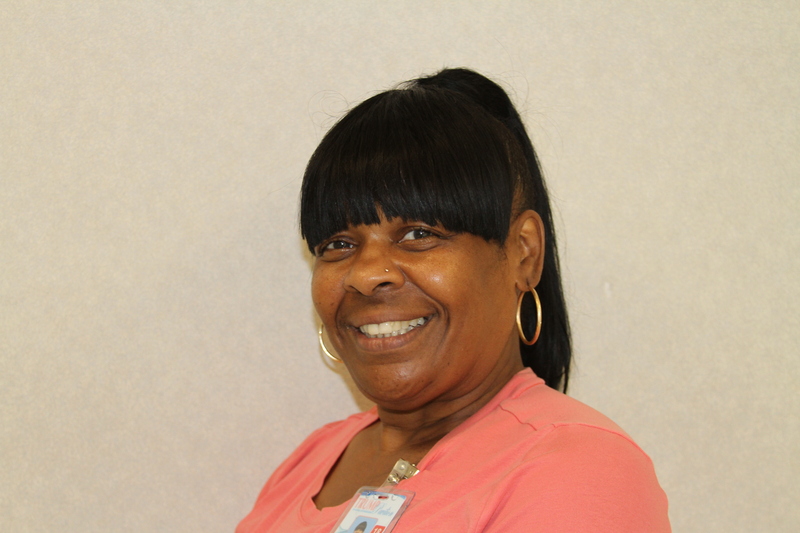 Louise likes to listen to music, especially R&B and she has a passion for cooking all different types of food. Everyone who knows Louise will tell you about her warm personality. She is the nice lady who greets people as they enter with a smile. This month we would like to introduce you to Dillon Peters – Lieutenant in the Security Department at Jamaica Hospital. He has been with the hospital since February of 2014 having started as a security officer and was twice promoted during these four years to his now current rank of Lieutenant. Dillon is a native of the twin islands of Trinidad and Tobago. 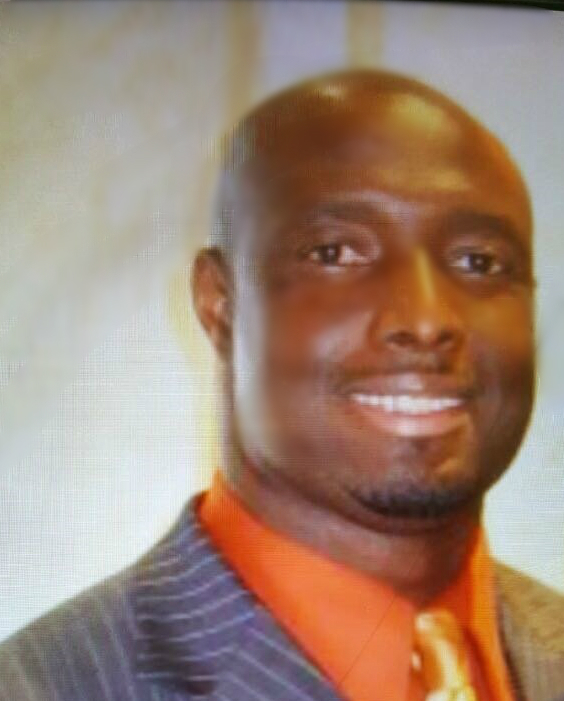 He is the divorced father of four children who he loves dearly. In his free time he enjoys music of all genres, and spending time with friends and relatives. His hobbies include anything athletic such as basketball, table tennis and soccer. He also enjoys dancing. 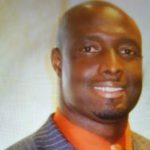 He attended Nyack College and graduated with a B.S. degree in Organizational Management. Dillon can best be described as a “people-person”. He enjoys helping others whenever he can and in his own words “loves bringing a smile to other people’s faces”. He enjoys it when he can make people feel comfortable and getting them to share some laughter with him.